Facebook recently announced that the network would be giving social media users the power to control and coordinate what people and organizations fill up their News Feeds. 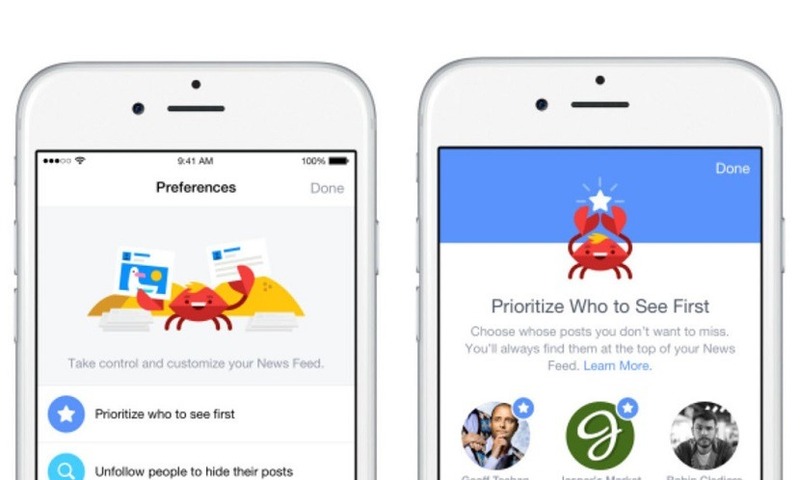 The new preference settings will allow readers to prioritize the friends and Pages that show up at the top of their News Feeds, giving Facebook users flexibility to personalize their experience on the network once again. Select friends and Pages to see first. The new “See First” tool allows people to choose which Pages, friends, and public figures to see first, which guarantees their posts will display at the top of a user’s News Feed marked with a blue star. Find new Pages they can connect to. Facebook recommends relevant Pages by using data on your behavior and what similar users Like in the “Discover New Pages” section. Facebook is increasing this new feature’s visibility by drawing users’ attention to these tools any time an individual hides or unfollows anyone in their News Feed. Select which friends and Pages to follow or unfollow. This preference was already available, but gives Facebook users further freedom to tailor News Feeds to very specific interests rather than being bombarded with posts from all friends and sponsored Page content. To encourage your online audience to see your organization’s posts first, just ask them to launch the Facebook app on their mobile devices and tap on the “More” button located in the right bottom corner; there, they’ll find (and can set) their News Feed Preferences. According to the report, these new preferences are currently only available to iOS devices in the United States, but the network plans to roll out these preferences globally. This will doubtlessly create a much better experience for Facebook’s users and ensure that a Like can only benefit Pages if they’re publishing content that their audience enjoys. The only organizations that might suffer from these changes are Pages that have previously relied on Facebook advertising and promoted posts to get the attention of their social media users.